It's family against family at the National Championship. The last time Villanova played North Carolina in the Final Four was 2009. Back then, Kris Jenkins and his brother Nate Britt were in high school. They were sitting on the couch watching the game dreaming of one day playing in the Final Four. Jenkins is a big North Carolina fan because he grew up with and lived with Tar Heels guard Britt in Washington, D.C. They consider themselves brothers because Britt's parents are Jenkins' legal guardians. It's a family Final Four in Houston! 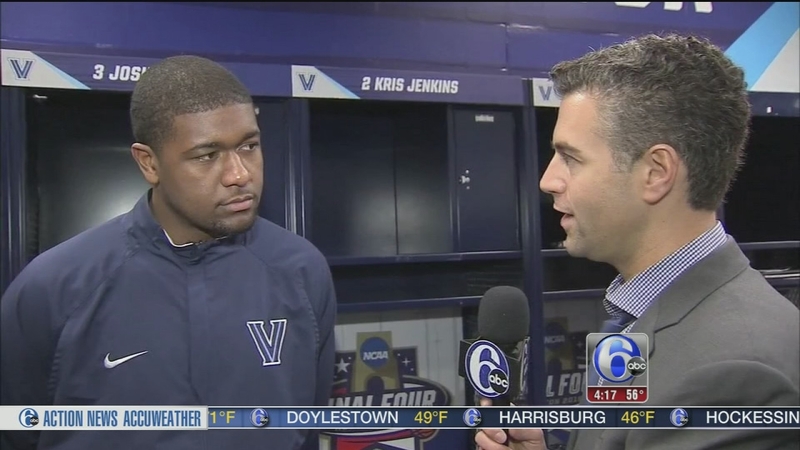 One of the key players for the Villanova Wildcats in the NCAA Tournament has been forward Kris Jenkins. "They're just excited because we're both at this position. They don't really care who wins because either way they're going to be happy. But I'd rather see us win, of course," Jenkins said. "Now that it's here in the National Championship game, that's pretty crazy. I don't think either one of us can believe it right now," Britt said. Jenkins was by Britt's side last weekend in Philadelphia when the Tar Heels won the Elite Eight. But they have barely spoken since as they're set to go head to head for the National Championship. As you can imagine, they're very competitive. "We're getting ready to play each other. He wants to beat me just as bad as I want to beat him," Jenkins said. "We were super competitive early on because Kris was always looked at as the better player," Britt said. "We competed at everything. Running up the steps, just anything. Nobody in our house likes to lose. We might be dead even. I think this one right here is the tie breaker," Jenkins said. Jenkins' biological parents are in Houston, too. They wanted to give Kris a better life which is why he lives with the Britts. Both families still don't know where they will sit at the game.